Pelicans, poets and a hotel tucked away in the Japanese Alps – it sounds like the most unlikely fairy tale ever and, in the world of design, it is. 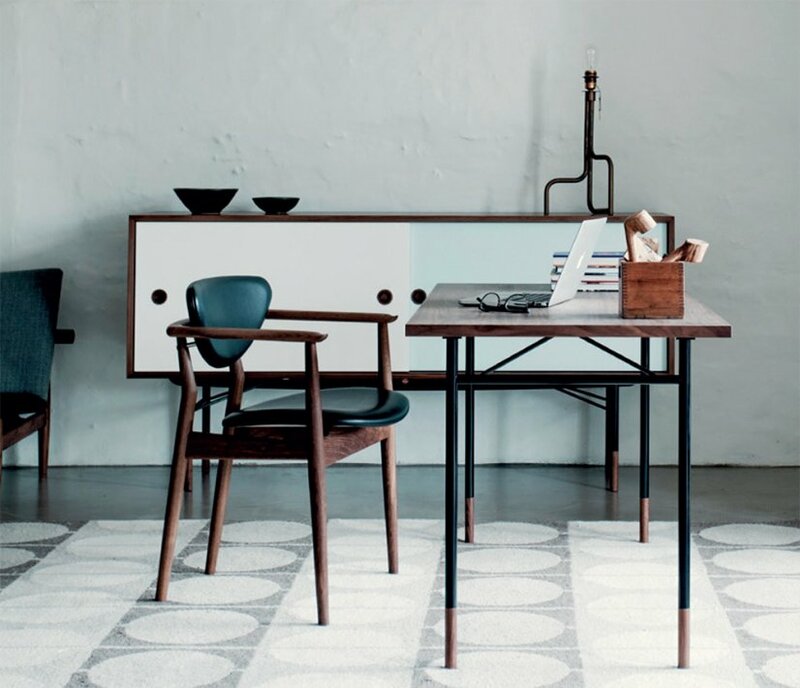 With three magic ingredients – passion, a pinch of daredevilry, and a treasure chest of spectacular designs – House of Finn Juhl has created one of the most remarkable Danish design stories in recent times. House of Finn Juhl, received the rights to reproduce the designs of the icon- ic Danish designer Finn Juhl – a great honour but also a great challenge. The truth was that due to the designs’ char- acteristically organic shapes, most had never been produced in large numbers, and hardly anyone believed that Finn Juhl would ever become a commercially viable brand. Fortunately, commercial viability was never the main concern for Hansen and Sørensen. “We base a lot on our intu- ition, and that’s both our strength and our weakness. We get completely carried away with things, sometimes the wrong things because, of course, we need to be able to sell the items too; it all needs to add up. Still, we produce some items that we really love but don’t sell enough of to make it pro table; we keep them in our collection and hope that, at some point, people will open their eyes to their qualiities,” explains Hansen. The brand has, however, also been behind a number of huge commercial successes, such as the Pelican chair, the Poet sofa and, most re- cently, the France chair. Running their own furniture company, Onecollection, rather out of the blue in 1998, Ivan Hansen and Henrik Sørensen were contacted by the widow of Finn Juhl, Hanne Wilhelm Hansen. She asked them to help her create one of his designs, a sofa, for a commemorative exhibition. The phone call was the beginning of a spectacular event in Danish design: the revival of Finn Juhl’s furniture designs. Impressed by their work, Hanne Wilhem Hansen decided to give the company the rights to reproduce Finn Juhl’s furniture, some of which by then existed in only a couple of handmade units from the 1940s and ‘50s. The two self-confessed furniture nerds were beyond ecstatic, but not everyone shared their conviction. “When we rst exhibited a Juhl sofa at a furniture show, there wasn’t one single Danish furniture trader who believed in it. We were told outright: ‘you’re not going to be able to sell that’. But slowly we started building a network of dedicated, quirky design traders,” says Sørensen.